Dental implants have become an important part of how we take care of our patients’ smiles. Replacing what was missing rather than doing more irreversible work on adjacent teeth helps us give patients the best chance at returning them to ideal oral health. 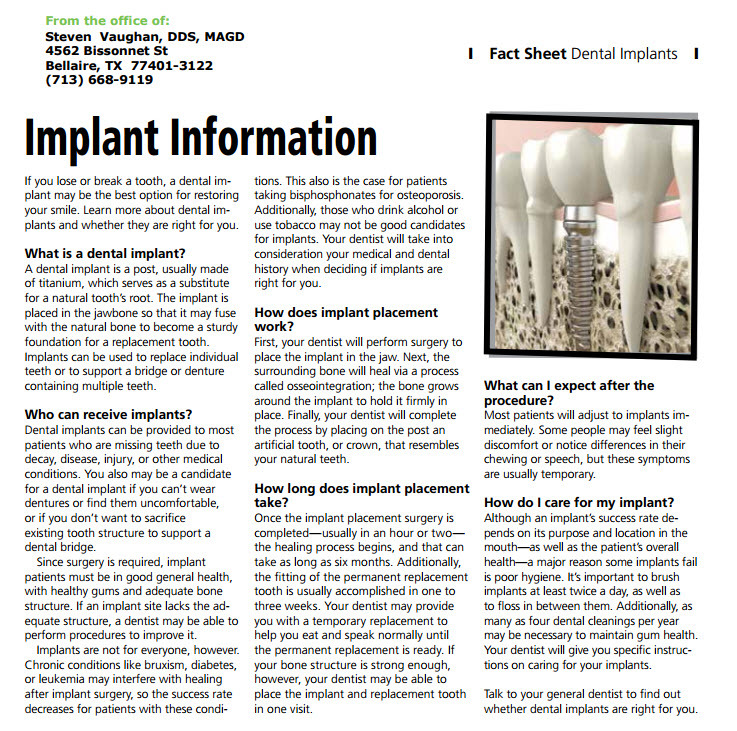 The Academy of General Dentistry recently published a fact sheet for its members to use in our efforts to educate our patients and the public on the benefits of implant dentistry. Please take time to read the information below. If you or someone you know might benefit from implant dentistry, don’t hesitate to call our office at 713.668.9119 for a consult.